Home → Blog → What Is A Hard Money Loan? 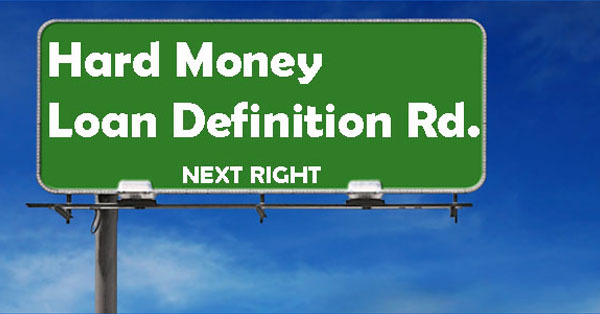 The definition of hard money loan is: A last resort loan or short-term loan to close a bridge or gap in your finances. A hard money loan is not based on credit but it backed by the overall value of the property. Due to the property being used as the protection against default from the borrower, these type of loans usually have a low loan-to-value ratio also known as (LTV) typically lower than other traditional loans. A hard money loan will usually carry higher interest rates than subprime loans or traditional loans. Traditional lenders don’t usually make hard money loans, hard money lenders are usually private investors that see potential in this risky market. Hard Money loans are commonly used in quick flip, short term financial needs or by loan borrowers with bad credit but have equity in the property they own and wish to avoid foreclosure.